Walter’s lunch… and his time are being eaten into. 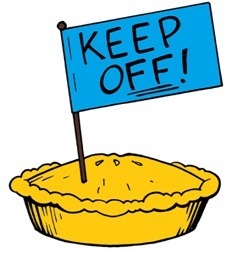 Fortunately, ‘real-world’ help is at hand to help him manage his time… and inadvertently, his pies! Make your life easier and more fulfilling! Who Stole My Pie is packed with powerfully simple models, tools, tips and techniques. If you want to gain greater control over your time then this book is for you! 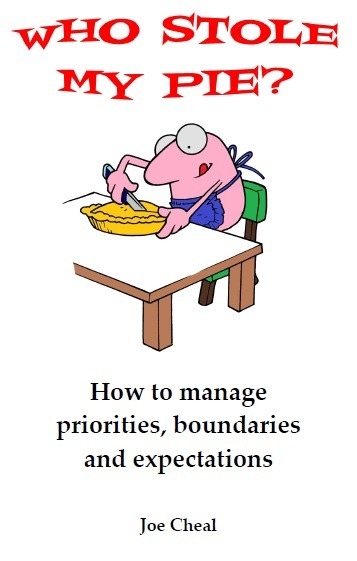 “Who Stole My Pie is a great book that uses an analogous delicious pie to tell the story of someone learning about time management. The story and its characters made the book a really easy read and the information was all clearly set out and easy to take in. Whilst there are some elements of time management in here that seem fairly common sense I found that there were also a number of new ideas that I hadn’t encountered before. I especially liked the section looking at how much time a task takes depending on what % of time you are spending being proactive or reactive with it. 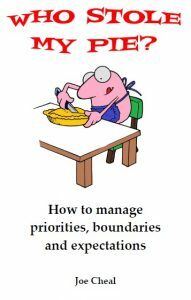 Although the story is simple that makes it easy to relate to and throughout you are rooting for Walter to find a solution to his time management and his issues with pies. This draws you in and the practical advice offered seems more useful than just supplying the information as a list of tactics.